Make sure you're always noticed with this special set of vintage gold huggies. 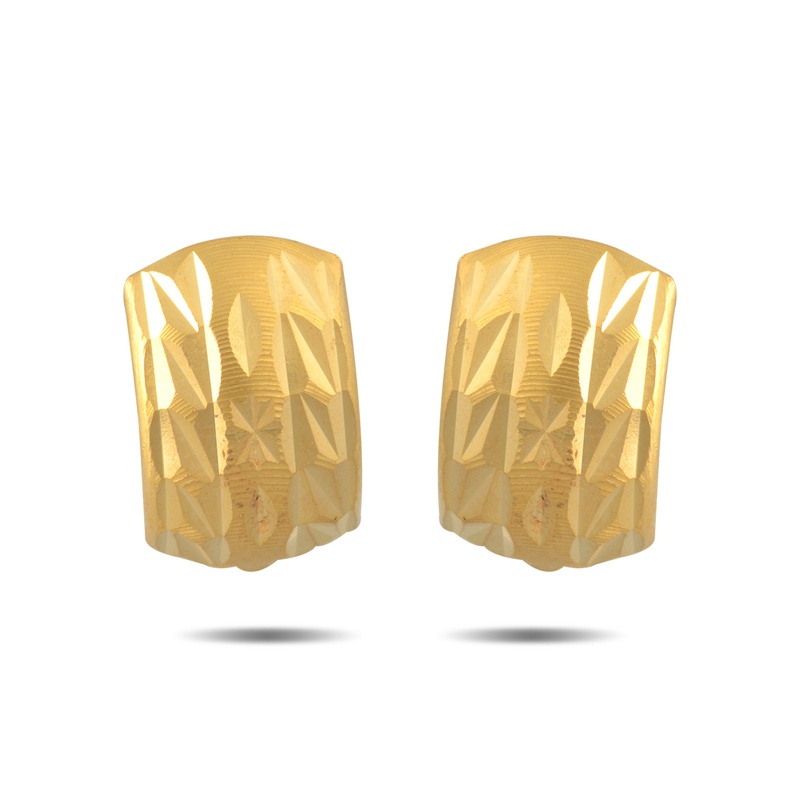 These yellow gold earrings are rectangular in shape and slightly curved with patterns carved into the surface. This 22KT set is most suited for formal wear. Show off your amazing taste and class with this set.